You might begin and end your visit to the Magic Kingdom on Main Street USA but the hub of the park is where the action is. This circular center piece is the beginning of limitless fun. Will you be touring Adventurland first, with its distant drums and palpable sense of discovery? Or should you consider the grandiose ball of Fantasyland, ripe with attractions (and people...)? 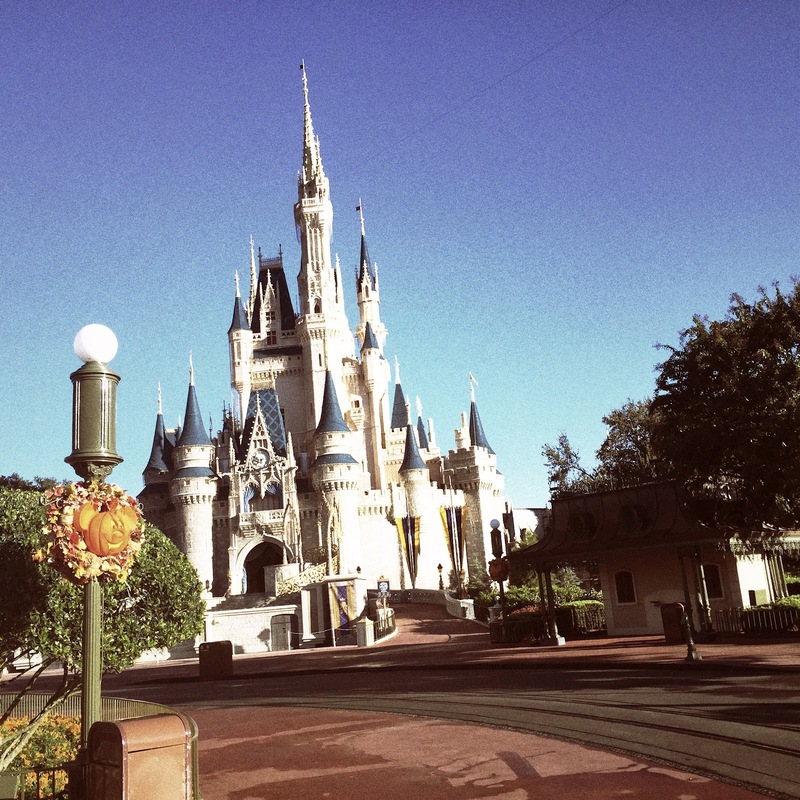 You see, the Magic Kingdom's hub acts as a starting point, a place to recover, and a place to recalibrate your day. The panoramic vista that makes up the hub (when not under construction that is...) is a true thing of beauty. No where in the park is more attention paid to landscaping. The extensive planting is always fresh with the promise of perfect family photos. The (now restricted) moat creates gentle dips in elevation that soften the harshness of the cement center, and add a flow to the whole area. The landscape is festooned with hardware that recalls that of Main Street USA. In fact, we should really be thinking of the hub as an extension of the iconic street. The lamps, bridges, benches, and kiosks are all elaborately designed and very pretty. The only thing throwing this vast area off is the monstrosity of Cinderella Castle. The parks visual centerpiece, and arguable icon of the entire resort, is not our cup of tea. Flat texture, garish colors, and obnoxiously enormous make this a true eyesore. The castle forecourt stage only makes things worse. Taking up space and cluttering an otherwise well designed area, the stage is good for only one thing...the Villains Mix and Mingle during Mickey's Not So Scary Halloween Party. The long running Dream Along With Mickey has its charming moments for sure, but is mostly pretty horrid. The biggest problem with this show is the congestion it brings to the hub 1,000 times a day. If you hear Peter Pan or Maleficent on the speakers near the hub, avoid this headache. While there are plenty of places to sit around the hub the general lack of shade and over abundance of people passing through make this less than optimal for relaxation. You're better off ducking into a quiet nook found in each and every land throughout the park, yes including Fantasyland. This is not the spot for a lengthy retreat. Some people would argue that the hub is best when utilized for parade viewing. However, we prefer the Country Bear side of Frontierland especially for the nighttime parade. The hub does offer near perfect views of the nightly fireworks, but stake your claim early, or make Fastpass+ reservations far in advance. There is nothing in the world as perfect as watching Wishes! from the hub. Tears for days. Since you will inevitably pass through several times in a day it will also influence the tone of your visit. The wide expanses can either be awe inspiring or anxiety inducing. To influence the former take a moment to breathe in and contemplate the meticulous beauty of the park you're currently enjoying. You made it to your happy place! You're at Disney World, in the Magic Kingdom...right in the thick of everything you love. When the frustration of a hot and crowded day are setting in (as they often do) just remember how lucky you are soaking in that cliched Disney branded magic. How do you feel about the hub at the Magic Kingdom? Love it? Avoid it? Let us know on Twitter, or Facebook! And don't forget to follow along on Instagram!